Quique Dacosta is a restaurant found in Dénia, a small beachside town by the Mediterranean Sea (Costa Blanca coast) about 100 km north of Alicante (and roughly 100 km south of Valencia). Restaurant on Google Maps. The restaurant opened in 1981 under the name “El Poblet” and chef Quique Dacosta joined it in September 1989 and then ten years later, he acquired it. Awarded its third Michelin Star in 2013, Quique Dacosta restaurant holds many other prestigious titles, such as the National Gastronomy Award for Best Chef (2005 and 2009) and two times Best Chef of the Year from The Best of Gastronomy. Also named “Best European Restaurant” for 2013 by the Opinionated About Dining survey. 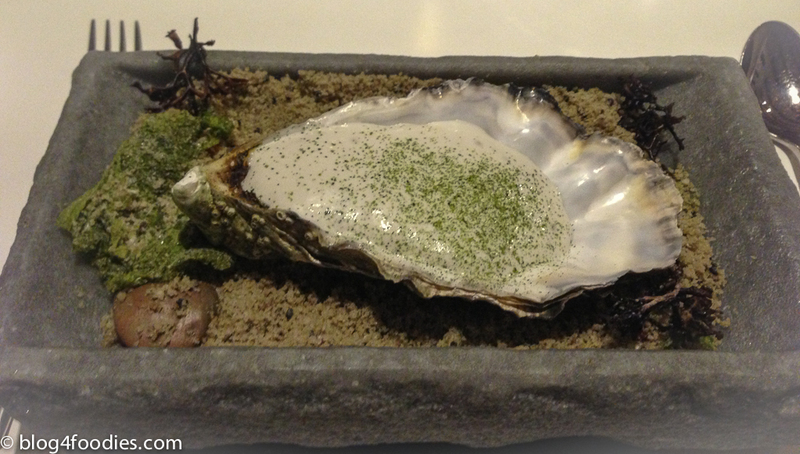 Moreover, currently (2013) holds number 26 on the “World’s 50 Best” list. 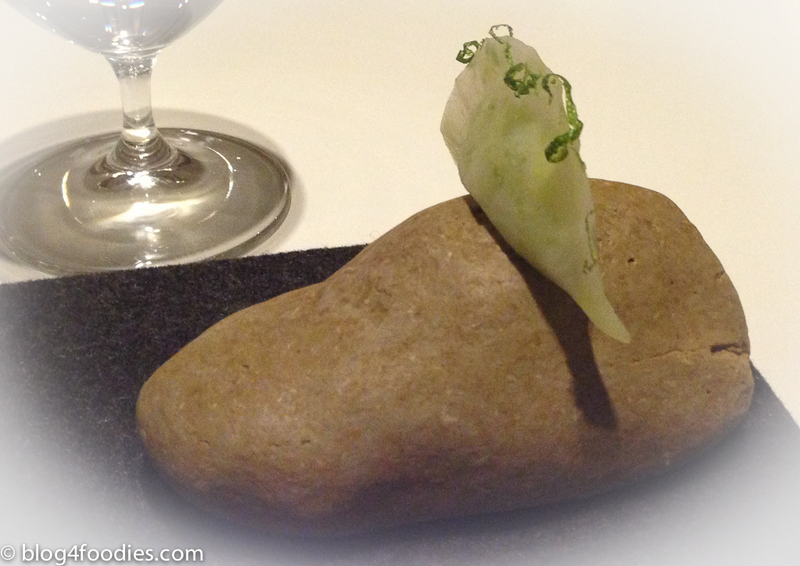 Part avant-garde chef, part ecological researcher, Quique Dacosta inhabits the same culinary branch as fellow countrymen Ferran Adrià (who supposedly visited Quique Dacosta as one of the first places after he closed ElBulli and said “The Quique Dacosta restaurant is one of the best in the world!”) and the Roca brothers. 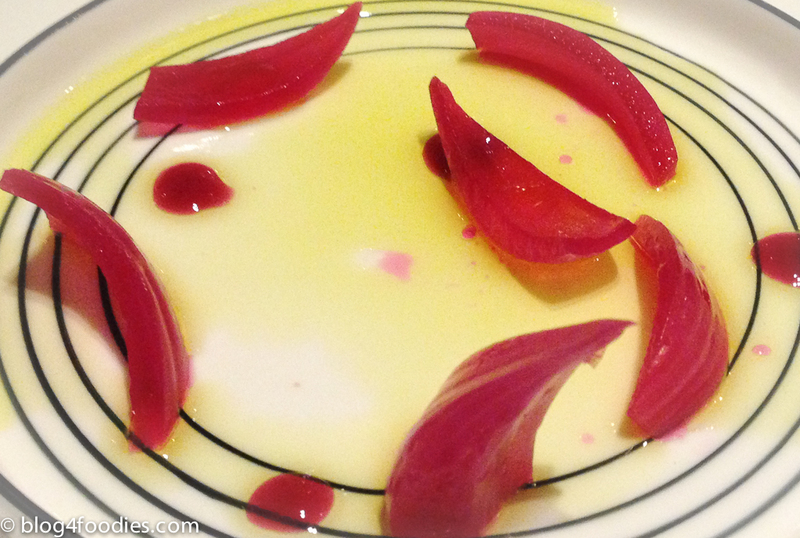 The restaurant is a center for both food research and top-notch dining. 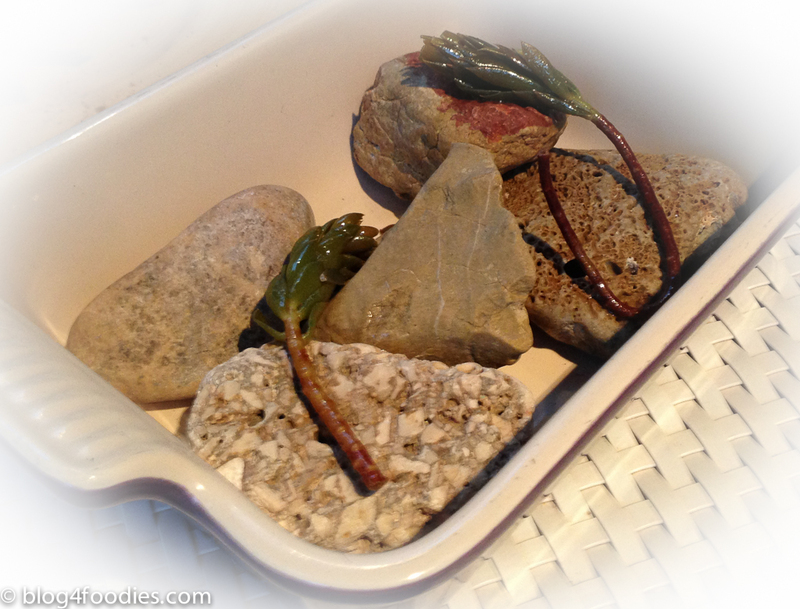 Plates are generally restrained and flavorsome, featuring only two to three ingredients. Quique Dacosta is inspired by the restaurant’s natural settings by the Costa Blanca coast, vegetable gardens, and the mountains of Valencia and also by artistic references. 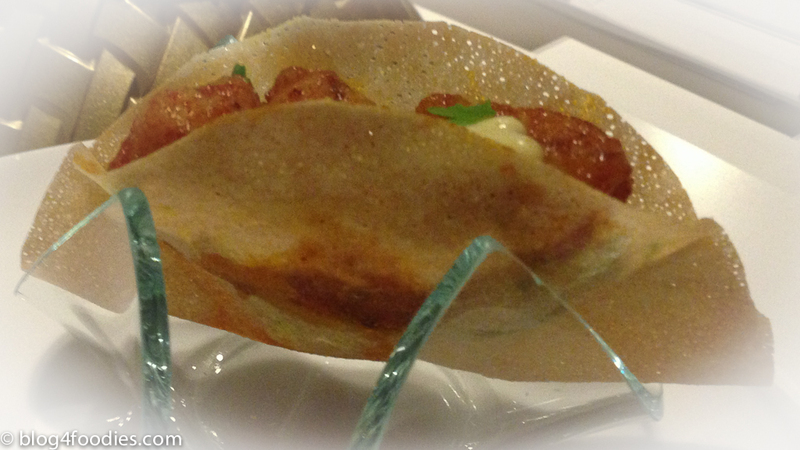 We opted for the “Universo Local” menu together with the associated wine package. The menu is divided into six “acts” and the first one is served on the restaurant’s patio. Gin with carbonated apple juice. The inner petals of the large red rose were edible (with the help of the provided tweezers). 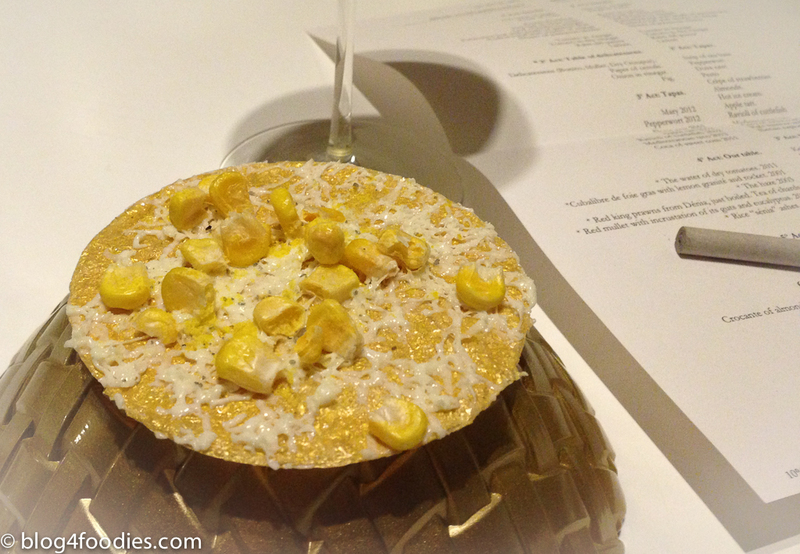 The “petals” were made of dried apple slices. Gin tonic of apple and petals of roses. 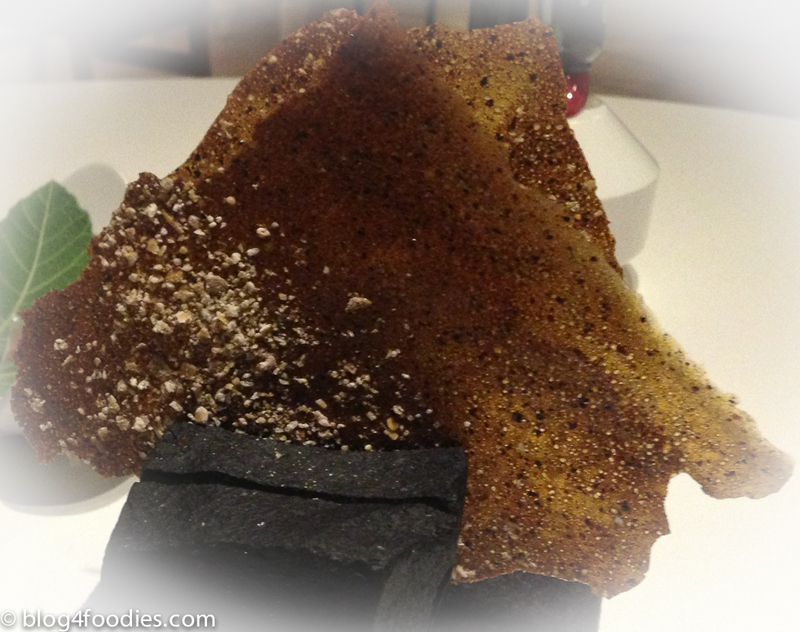 Breaded snappish covered by Parmesan shavings. 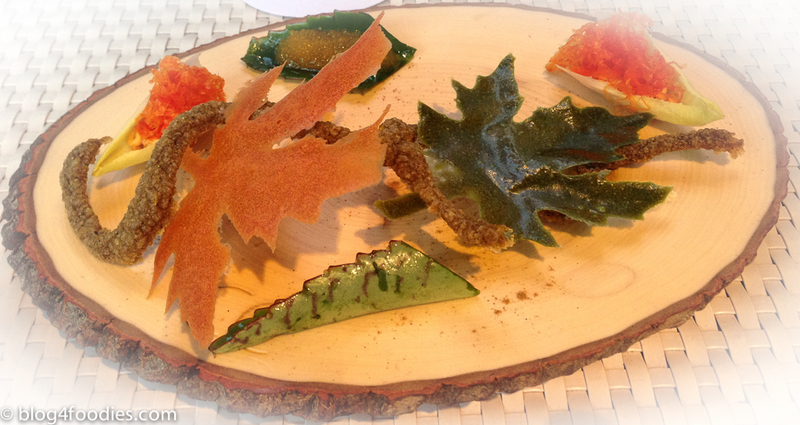 2º Act: Table of delicatessens. After act 1, we moved from the patio to one of the dining rooms inside the restaurant. Both the bonito (pretty in Spanish is a generic name for fishes belonging to the Sardini tribe), mullet and octopus were all very strong in taste. Therefore it was needed to “neutralize” the taste buds by eating some “paper of cereals” (see pic below) between each nibble. I was impressed by the good taste of those pickled onions! 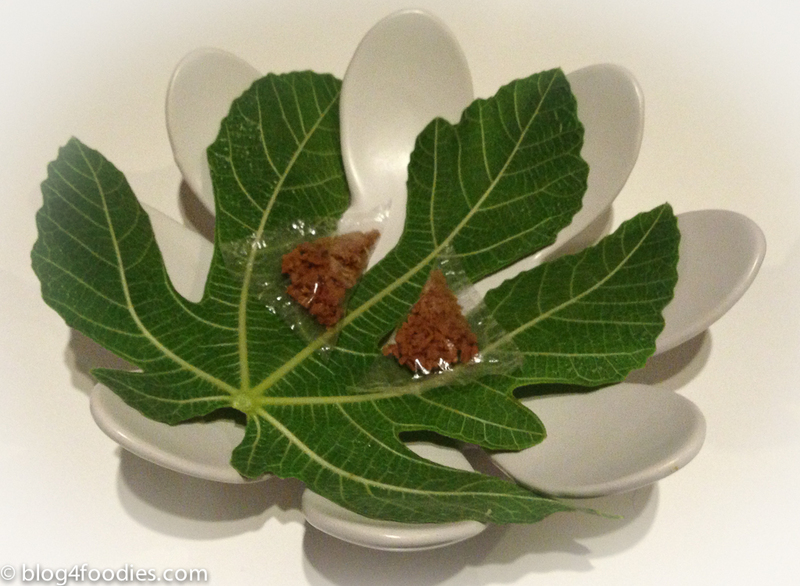 Dehydrated fig sealed in obulato sheets. A fun interpretation (i.e. 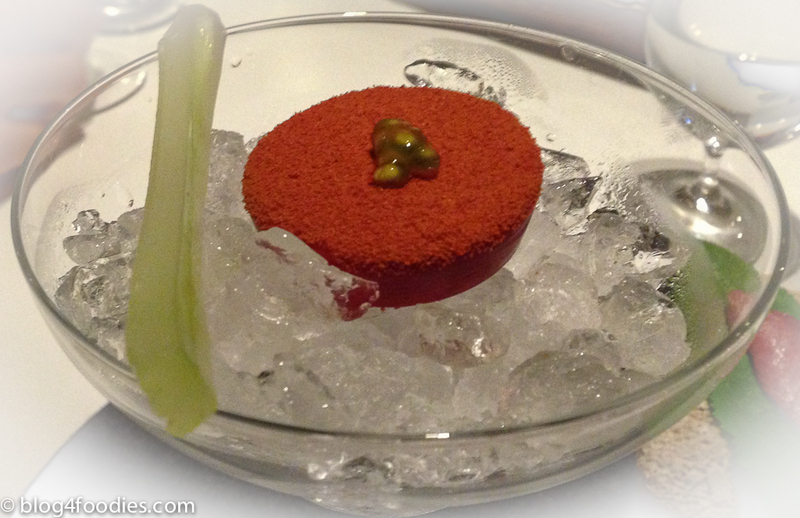 deconstruction) of Bloody Mary, which was good, but the highlight for me in this dish was the gorgeous celery. We were instructed to first eat the leaf and the fish (tuna?) together, but to save a piece of the leaf to eat alone. 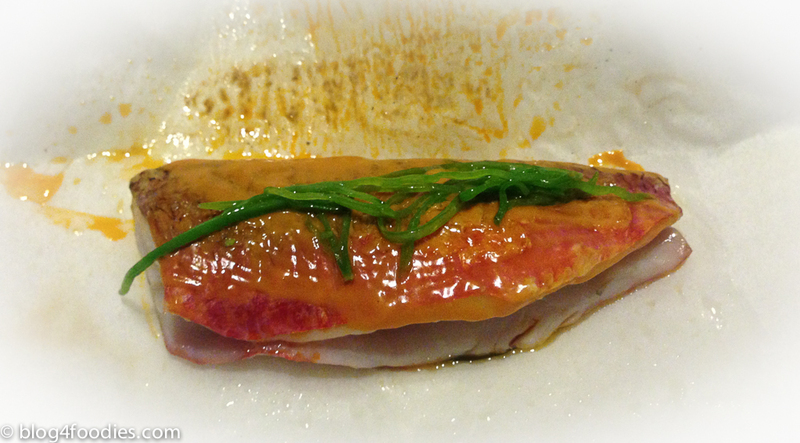 Together with the fish, the spice was neutralized. 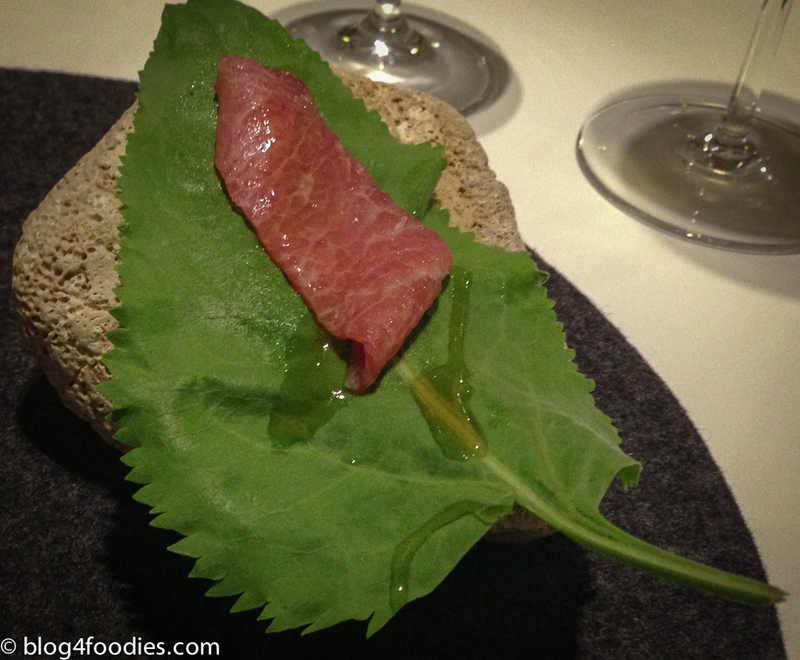 On its own, the leaf had a very strong horseradish/wasabi spicy style. 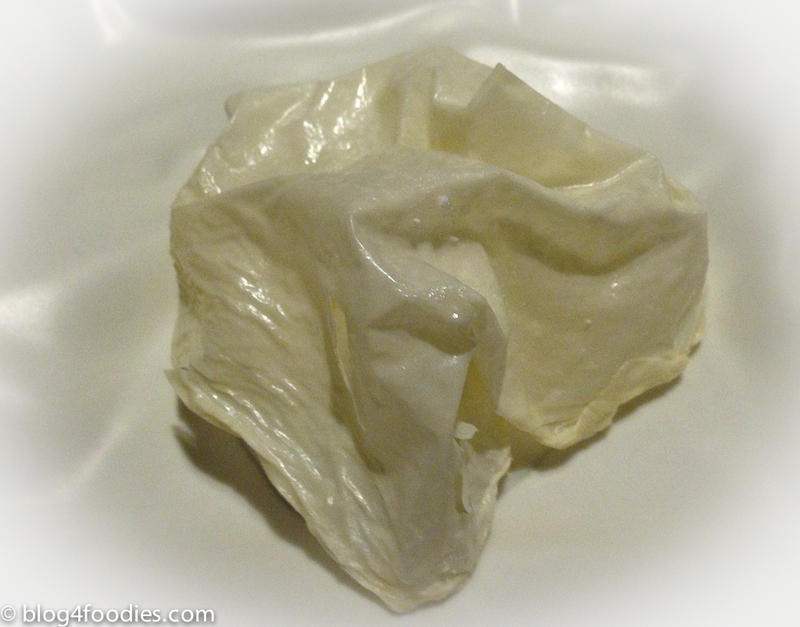 The “dove eggs” contained brown butter and sat on a bed of dried pasta. 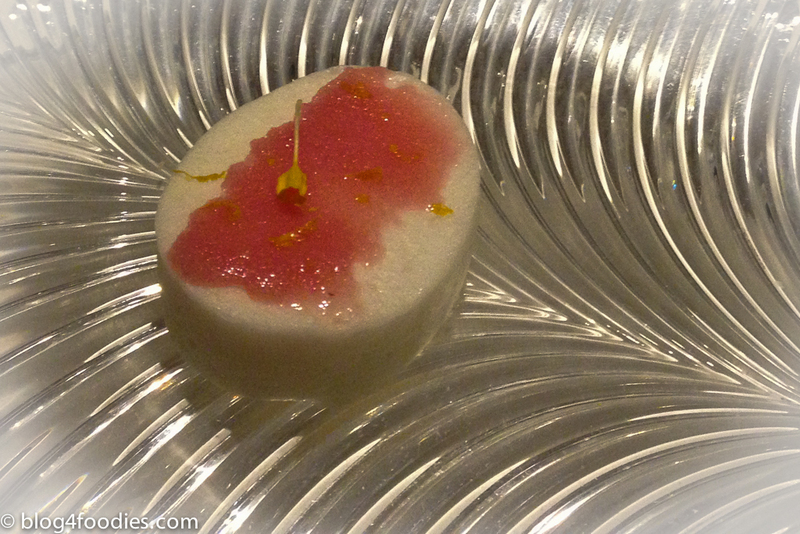 The “Apple tart” was a feather light meringue with a Campari granité on top. Good contrast between the sweet (i.e. meringue) and the bitterness (the Campari). Act 4 included the mains. 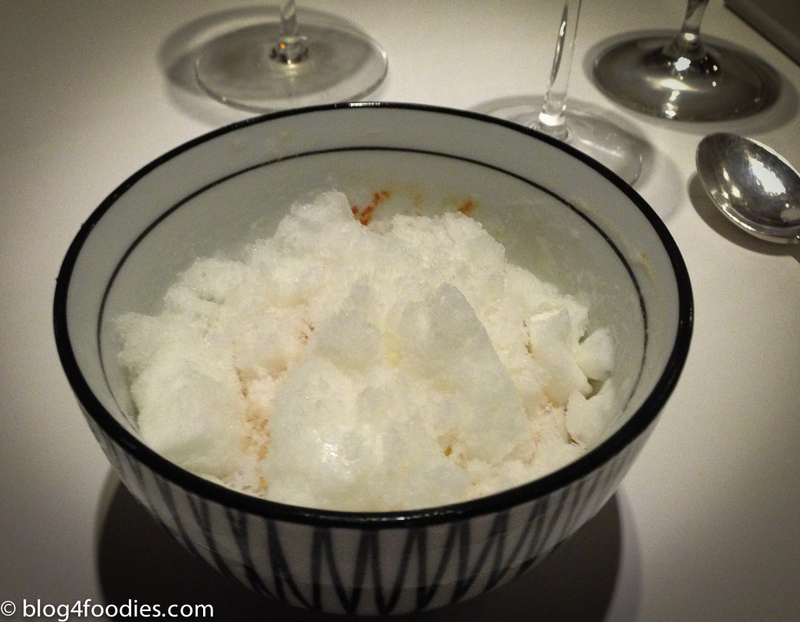 Another deconstruction and the white “snow” were shavings of frozen tomato essence and there were also pieces of tomato at the bottom of the bowl. Pretty good! 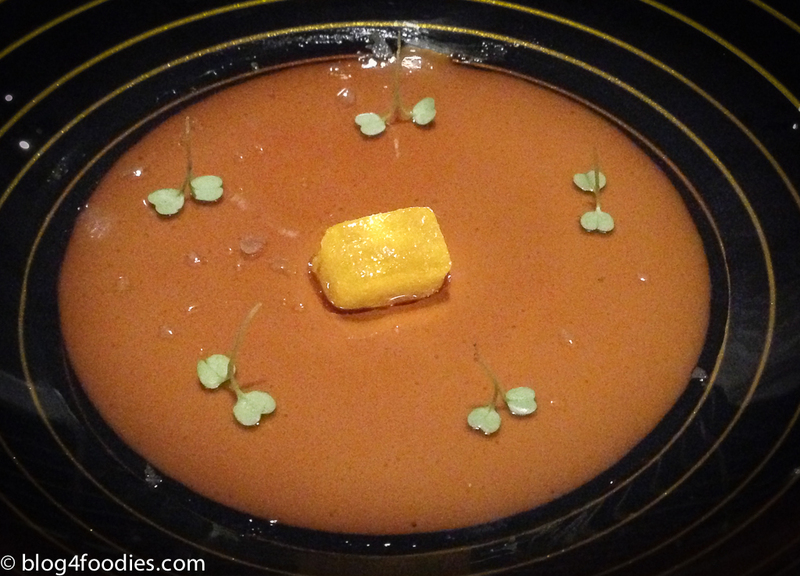 A gel of lemon, cola and rum emulsified with Foie Gras. 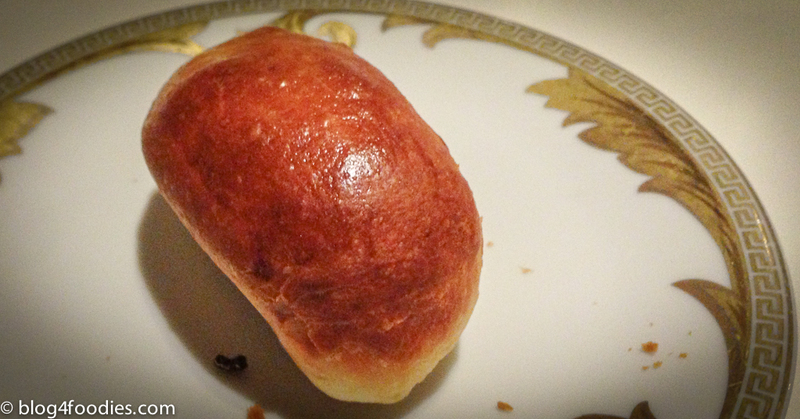 Served with a brioche. 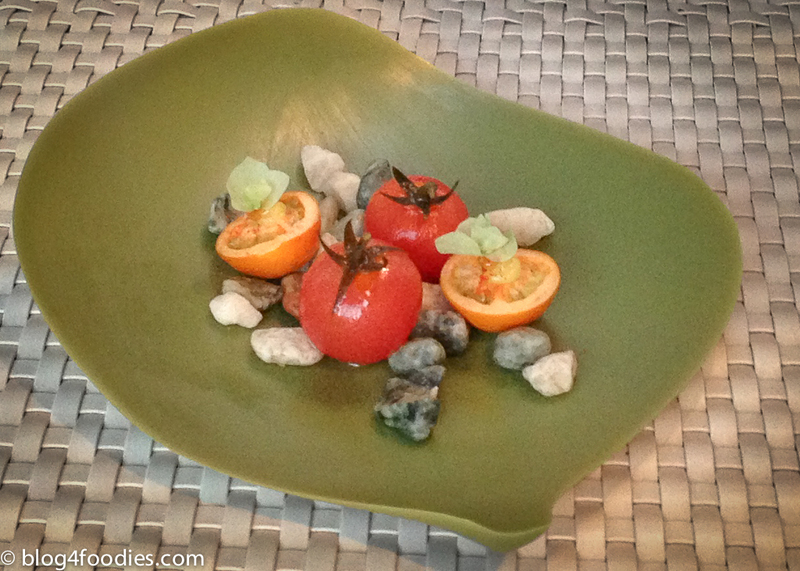 The “haze” in this dish was made of Liquid Nitrogen (LN2) and was meant to add an illusion of fog in the forest. 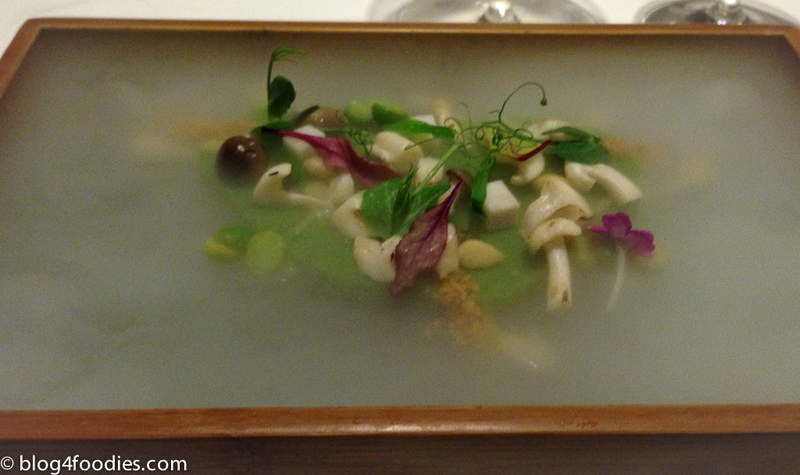 The “forest content” was a compilation of mushrooms, peas and pork served over pine and aromatic moss. 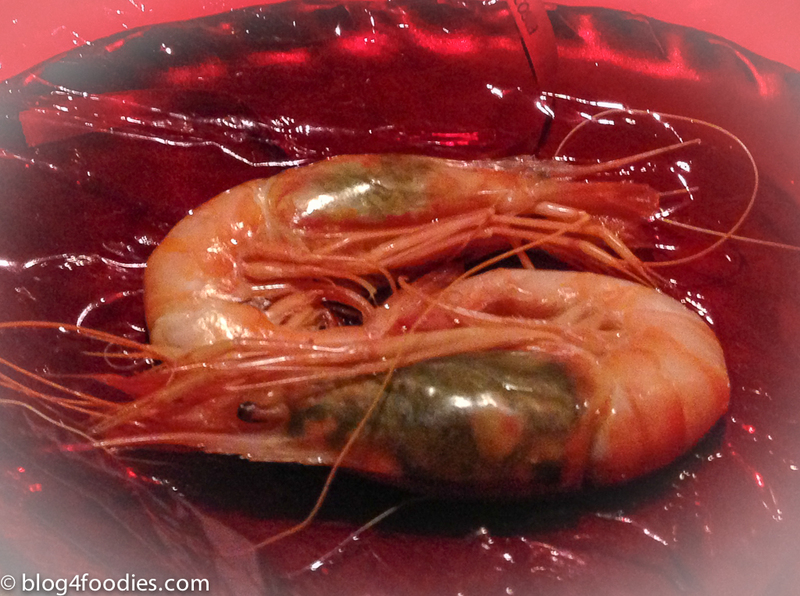 Prawns are a real specialty of Dénia (the region were the restaurant is located). 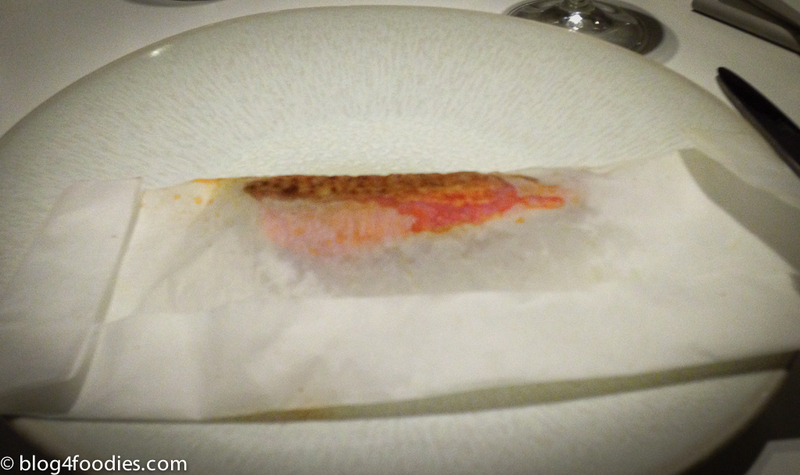 Wrapped in red cellophane were two large Dénia prawns, which were served together with a cup of prawn stock (that were supposed to be drunk). Really good! This fish was according to my taste buds a true winner! 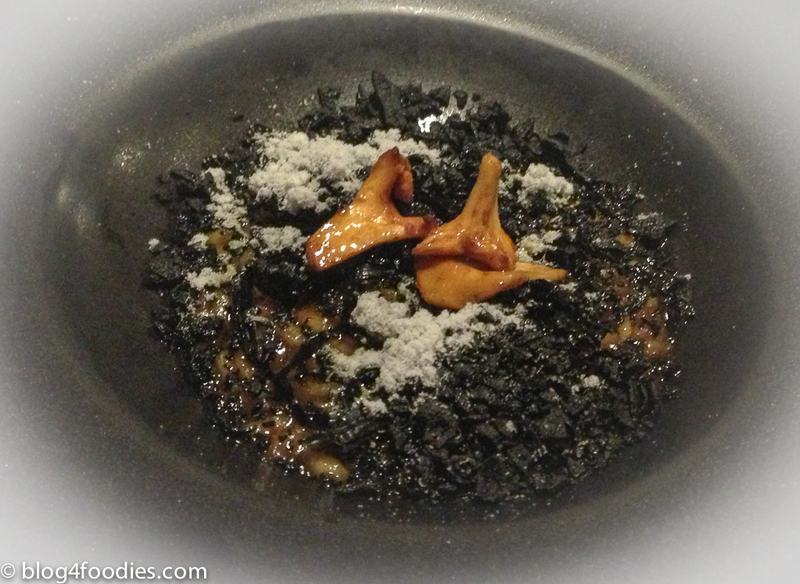 Sénia rice with braised pigeon, chanterelle mushrooms and smoked black truffles. One of my high-lights this dinner! 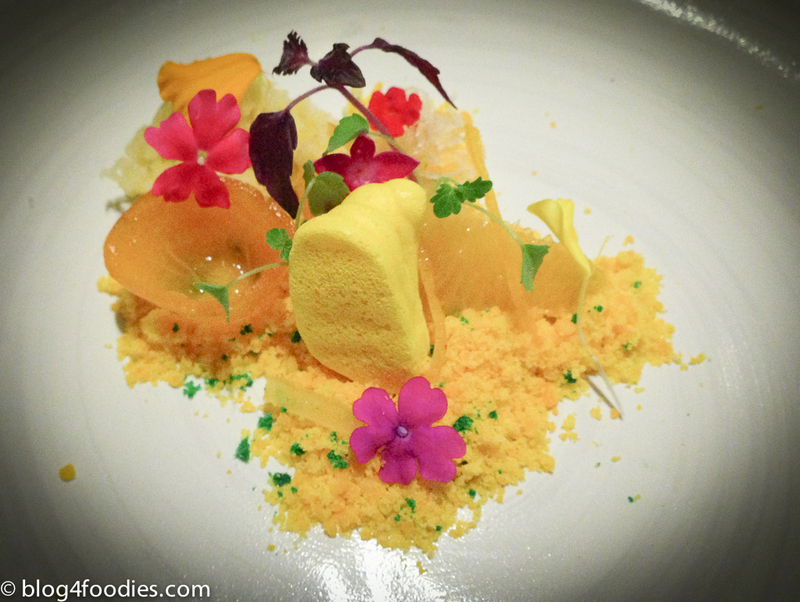 Various citrus served on a bed of dehydrated citrus “sand” and accompanied by flowers. 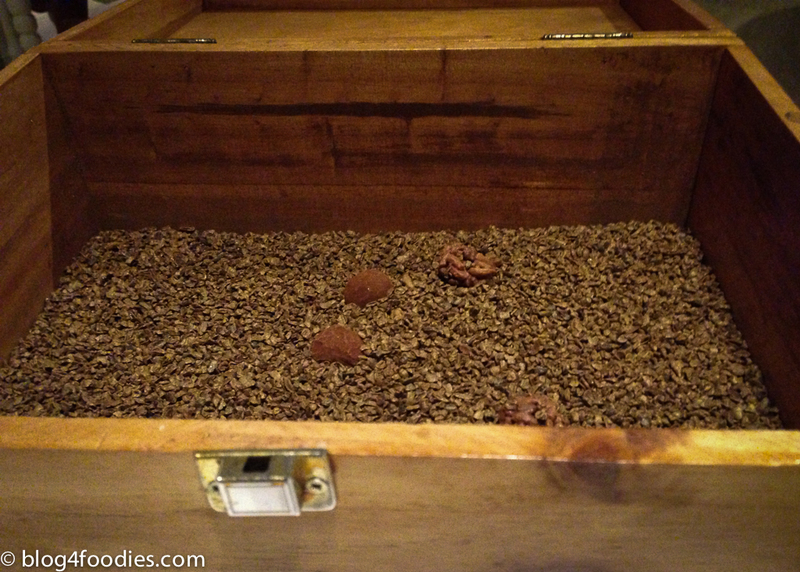 Before the box was opened, it was shaken. Opened, some “magic” flavorsome aromas flow out of the box and its contents (crocante of almonds, truffle of rum and Gold stone) were also really good. 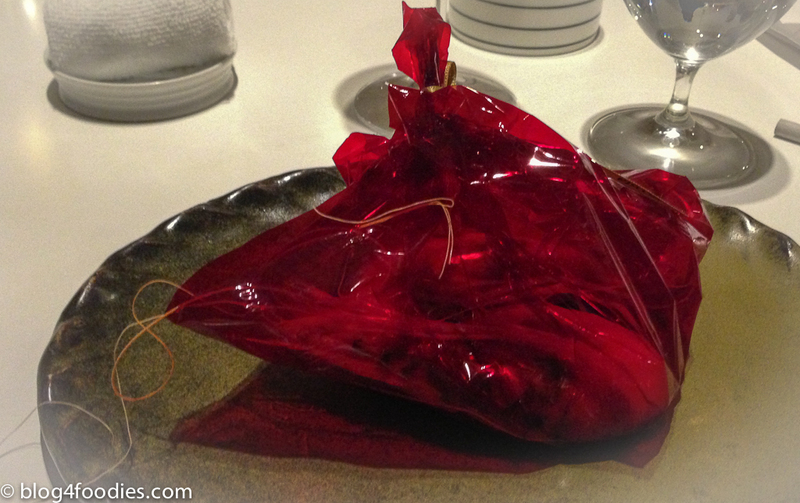 In summary: a very creative avant-garde restaurant with good service. 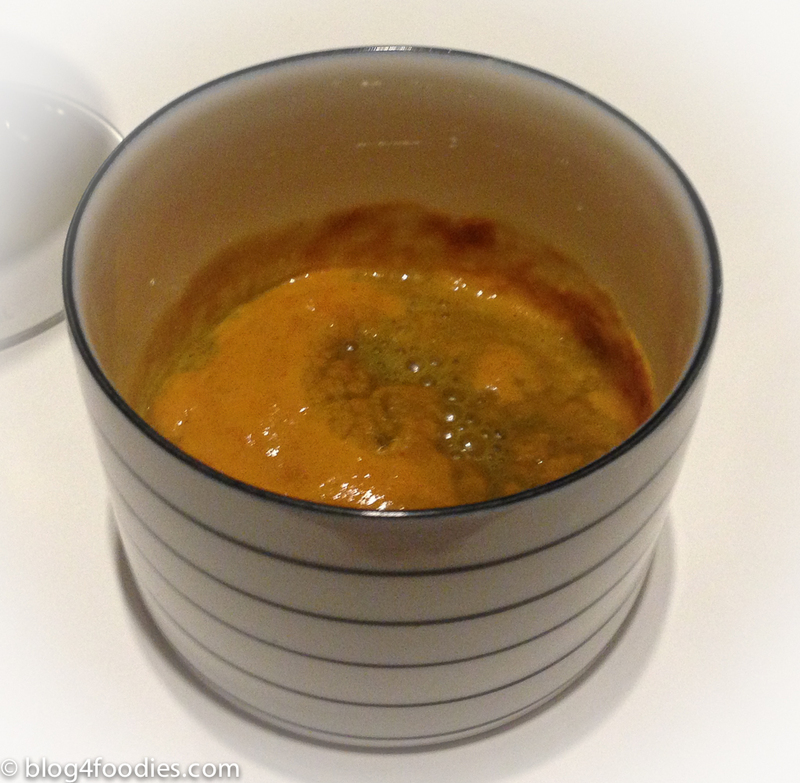 I am not always 100% keen in regards to “too much” avant-garde cooking but at Dacosta it made sense and I enjoyed most of the food. From my perspective, I have eaten “better” food, that is food that I think tastes better and have even better flavor combinations (e.g. 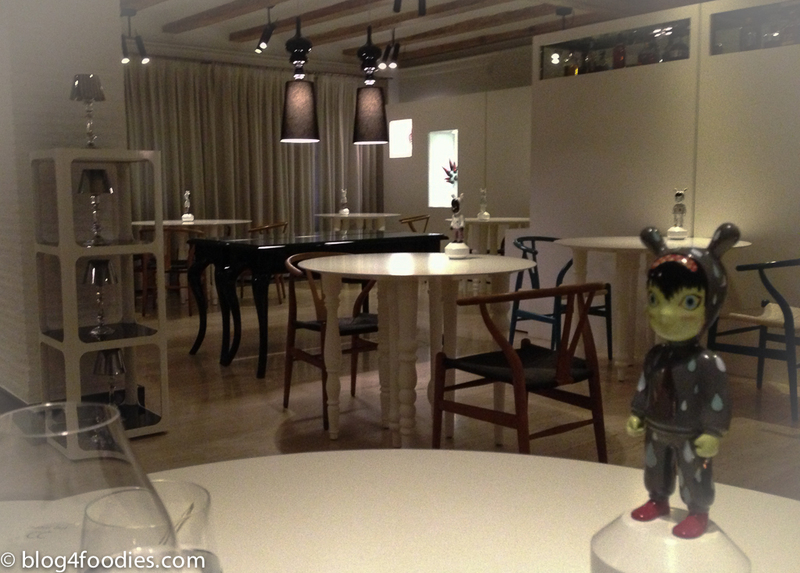 Frantzén, Le Calandre and Victor’s) but that said, I consider Quique Dacosta a top notch restaurant. Also, it is a fun and interesting restaurant to visit, maybe one of the more entertaining ones I have visited. One thing I lacked is that Mr. Dacosta did not seem to be present in the restaurant; maybe he was, like many other “high-profile” chefs, out travelling on other engagements than cooking in his own restaurant (I do not know). Also, it would have been interesting to visit the kitchen and the wine cellar but the dinner was not finished until roughly 01:30 so I guess it was a little bit late to ask about this (in some restaurants they invite you to do this…). In all: highly recommended! 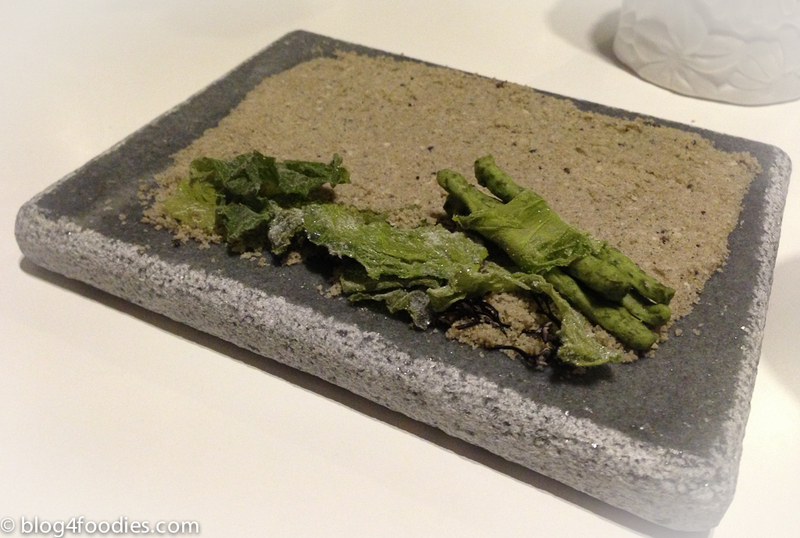 Gallery | This entry was posted in Restaurants, Spain and tagged 3-star restaurant, Alicante, avant-garde, Costa Blanca, Dénia, Fine Dining, Fish, Food, Guide Michelin, Quique Dacosta, restaurant, Spain. Bookmark the permalink. Thanks for the notice! Personally I usually use Chrome (and sometimes Safari) and that without any problems, but I will check how this (WordPress) site “behaves” in IE.